Tadika Than Hsiang Bukit Mertajam was established in 2008. The objective of the establishment of this branch is to cater for the community in Alma and Bukit Mertajam area. It has a morning session for children of 3 to 6 years with activities, fees and a curriculum similar to those of the main Centre. The kindergarten is housed in a double-storey corner lot with a huge playground which is well equipped with swing and slide play-sets and sand pit. In the spacious common hall, there is a reading corner and two other play corners. The children especially those under daycare are able to enjoy a freedom of choices of activities at these corners. The objectives are similar to those of the main centre, focusing on an all round program carefully planned so as to enhance the child's development socially, emotionally, intellectually, physically, and spiritually. 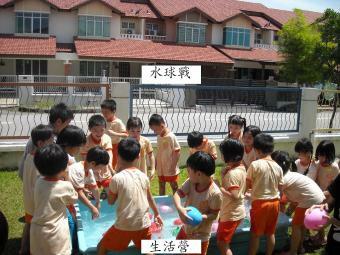 Emphasis is placed on the teaching of positive character building, i.e. independence, gratitude, appreciation, filial piety, and respect for elders. An integrated computer program is designed to expose children to Information Technology at an early age. To cater for busy working parents our centre also provides full and half day care service for our preschoolers and before school care for Std 1 to Std 3 primary students. At present, it is operating with more than 50 children.